Tarot Nekro - Tarot Bulgaria ltd. 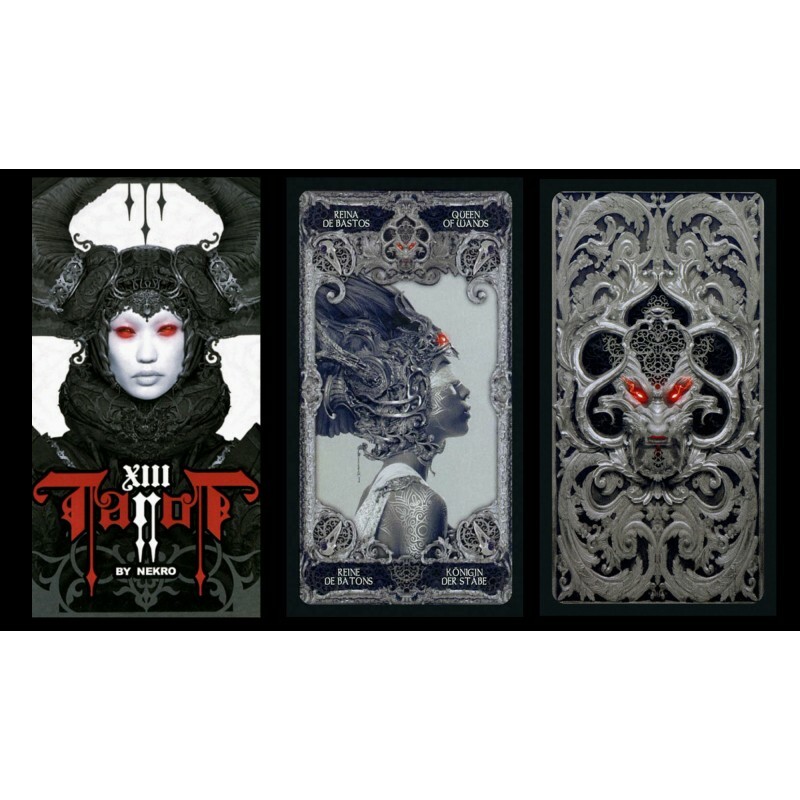 Featuring a unique and personal style, the Nekro Tarot Cards are composed of highly enhanced black and white photographs with flashes of color. Made in Spain by Fournier. The boxed deck includes 78 cards and an instruction booklet.